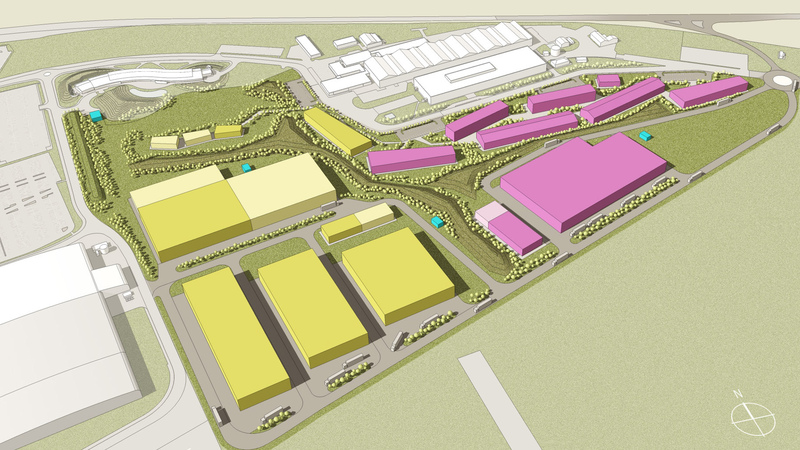 Wilson Mason were initially commissioned by BAE Systems to develop a framework master plan for the Advanced Manufacturing Business Park in January 2010 and have subsequently been appointed to develop and deliver elements of the master plan. The site is within the boundary of three councils. Along with the local enterprise partnership, they were heavily involved in the shaping of the surrounding road network and the areas of their responsibility. Not all necessarily linked to aerospace, the zones will form a centre of excellence for high technology manufacturing that will generate benefits for the whole country. The Enterprise Zone heralds an era of high quality commercial development on a grand scale that will attract global knowledge intensive businesses. The master plan includes provision for a series of serviced plots within a cohesive landscape and circulation strategy to cater for known and estimated accommodation requirements. The suggested phasing strategy allows the service infrastructure and landscaping to be developed alongside the building development to minimise initial investment and maintain flexibility. The architectural framework suggests an aesthetic which compliments existing buildings on the site and limits maintenance needs.